Your weight loss and your overall health are always our primary concern. That is why we offer a number of options to make our Medical Weight Loss program easily affordable for anyone’s budget. *Pricing per week is based on the monthly payment price minus the estimated food savings according to the USDA divided by 4 weeks per month. Our clients typically save $100 per month, or $25 per week by just eliminating one snack, drink or dessert per day. Every Medical Weight Loss by Healthogenics program is customized based on your specific needs and we can determine your program fees during your free medical assessment and consultation. We accept all major credit cards, checks, money orders/cashier checks, Care Credit®, Health Savings Accounts, Flexible Spending Accounts, and we offer our monthly payment options, Easy Pay, that make our weight loss program easily affordable for everyone to lose weight. Call today to schedule your appointment 1-800-668-5211. 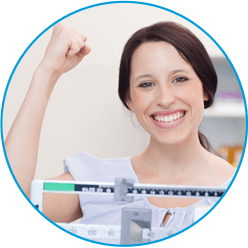 Some health insurance companies consider the cost of our Medical Weight Loss Program to be a reimbursable expense provided certain conditions are met. You may be eligible to receive a full or partial reimbursement for the cost of your program from your health insurance provider. Call 1-800 668 – 5211 to schedule your free consultation to find out if your insurance plan will provide coverage. Medical Weight Loss also accepts Flexible Spending Accounts (FSA) and Health Savings Accounts (HSA) which many companies offer to their employees. These plans allow you to pay for your weight loss program with tax free dollars. The cost of a weight loss program, when prescribed by Medical Weight Loss to treat a diagnosed medical condition such as obesity, hypertension or diabetes, is a reimbursable FSA or HSA expense according to the IRS. Many plan administrators consider the Medical Weight Loss program to be a qualified expense. Your consultant will offer you a letter of medical necessity if applicable, to provide to your claims specialist. Call 1-800 668 – 5211 to schedule a free consultation to find out if your FSA or HSA can be used. *Pricing per week is based on the monthly payment price minus the estimated food savings according to the USDA divided by 4 weeks per month. 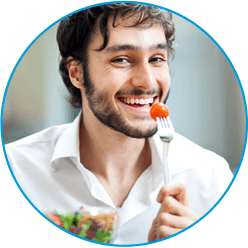 Our clients typically save $100 per month, or $25 per week by just eliminating one snack, drink or dessert per day.